The average home stays on the market for 65 days; getting your home into someone else’s hands is easy when you sell your New Orleans home for cash. 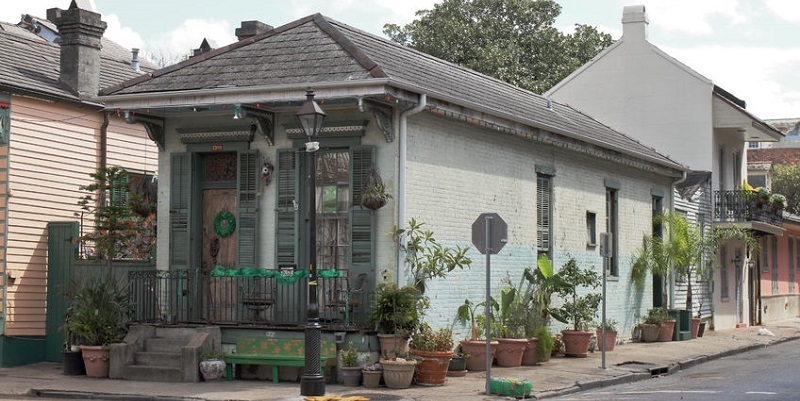 Have You Considered Selling Your New Orleans House Fast for Cash? Your house has been on the market in New Orleans for months without one offer to buy it. Sure, it might be a little cluttered and lack curb appeal, but the price seems right. You’re getting a little nervous, but if you hold out just a little longer, it will surely sell, right? According to U.S. News & World Report, whether or not a house sells quickly (or at all) comes down to two factors: price and condition, although marketing also plays a part. In general, the longer a home sits on the market, the lower the perceived value becomes, even if there isn’t a thing wrong with it. It makes no difference how long you’ve owned your home, how much money you’ve spent fixing it up, or how much you owe on it. The only thing that matters is what potential buyers think it is worth, based on current market prices. What Happens If a Home Sits on the Market for Months? According to Realtor.com, the average home is on the market for 65 days. Some factors that affect the time it takes to sell a home include location, price, time of the year, the number of other homes on the market, and neighborhood. But what can happen when your home sits on the market for weeks, months, or even years without an offer? You will have to continue making your mortgage payments as well as pay for utilities and routine home maintenance, sinking more and more money into a house that you need to sell. Potential buyers will either think the house is overpriced or that your home needs a lot of repairs. “Wait and see” prospects will eventually move on to other properties if you don’t drop your price. Having expected a quick sale, you will likely experience increasing levels of stress when your house sits on the market long term with no offers in sight. If you get into financial trouble and miss a mortgage payment or two, your lender may threaten to foreclose on your New Orleans property, which will in turn negatively impact your credit score. Figuring out how to market your home properly, while dealing with everything required to make it sellable will take precious time out of your already busy schedule. But you don’t have to wait around any longer – you have other options. Ready to Try Another Approach? When you sell your New Orleans house fast, and for cash, there is no need to be concerned about how long your house has been on the market, how much you owe on it, whether or not you’ve made updates to it, or if your bank has threatened foreclosure. Even ugly homes can sell as is. If you’ve had your house on the market for more than 180 days with no bites, it might be time to consider this: Big Easy Buyers buys houses for cash, as is, in 30 days or less. If you’re a homeowner in the New Orleans area, contact us by filling out this form or by phone at (504) 513-7878 to learn about our simple 4-step process today.